NASHVILLE – Care for young trees during the summer, and they’ll grow up to offer you protection from the sun for years to come. As the fiercest weeks of summer continue, lawns filled with valuable trees and other perennial plants are at risk from scorching heat and, sometimes, limited rain. Commit to a watering plan to help protect your valuable trees, shrubs, and other plants to minimize damage. Young trees and plants that are new to the landscape will be those most in need of help through the summer. The amount of water to give a tree depends on soil type, recent weather conditions, the age and type of tree, and nearby vegetation that could compete for that moisture. Intense heat during the summer can cause water to evaporate before it reaches deep roots. The ideal time to water trees and other perennial plants is in the morning when temperatures are cooler. Ideally, water should be delivered slowly and at a steady rate, allowing water to be absorbed into the root zone rather than lost as surface runoff on compacted soils. An easy and affordable way to slowly water a tree is to fill a cleaned milk jug with water and poke a hole in the top and bottom so that the water can drip out of the container. This allows a steady release of water into the soil to be taken up by the roots. Thoroughly water perennials periodically rather than giving them a little water every day. Offering smaller amounts of water daily causes plant roots to search upwards toward the limited water supply. Inadequate daily watering fosters shallow root systems and makes some plants susceptible to root rot. Pests can also be a threat when plants and trees are weakened by heat and inadequate water. 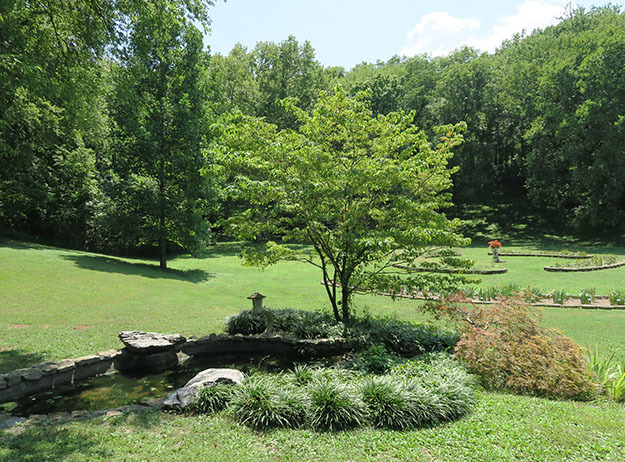 The Tennessee Department of Agriculture Division of Forestry offers a number of services to provide technical assistance and help municipalities establish self-sustaining urban forestry programs. Information about tree care and maintenance including selection, planting, and pruning is also available here. Follow ProtectTNForests on Facebook, Instagram, and on Twitter @TN_Forests to learn more about forestry in urban areas all across Tennessee.